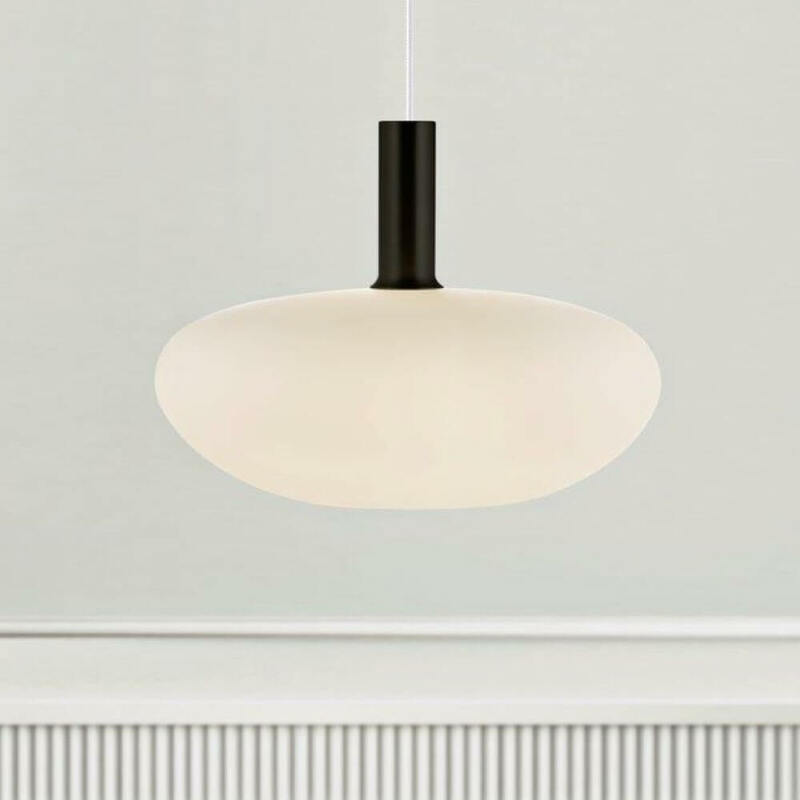 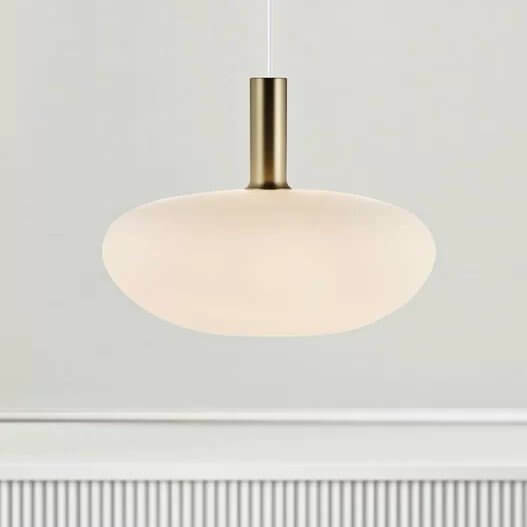 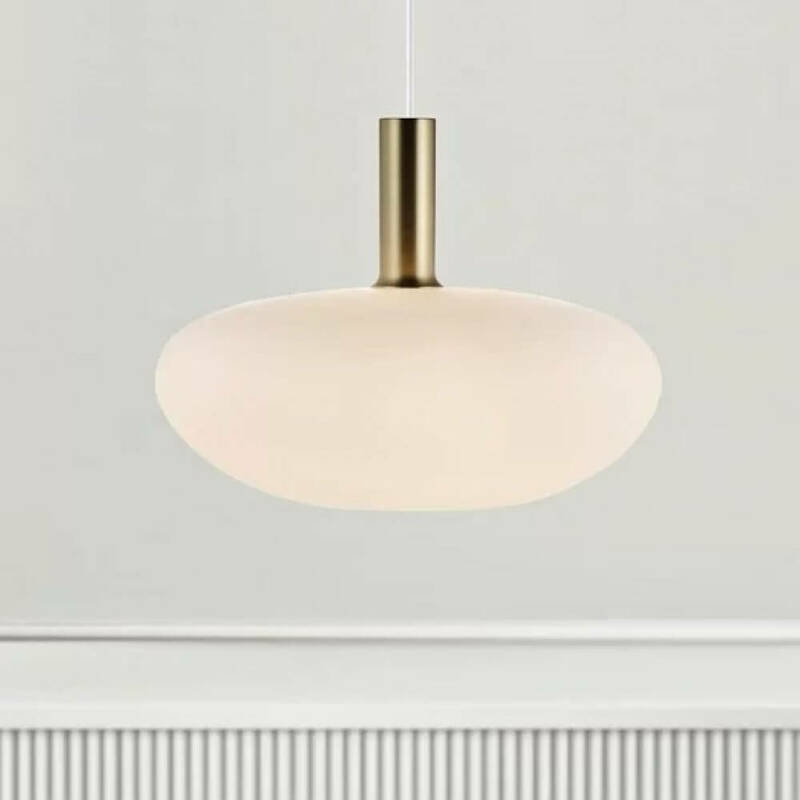 An organically shaped pendant light of classic Nordic design. 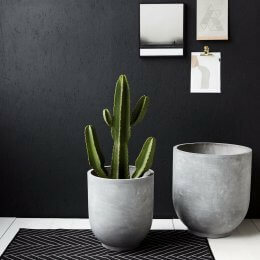 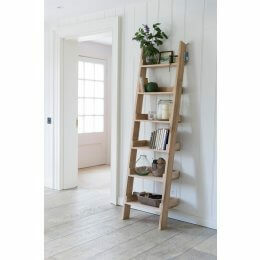 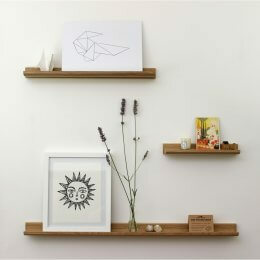 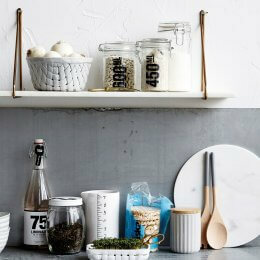 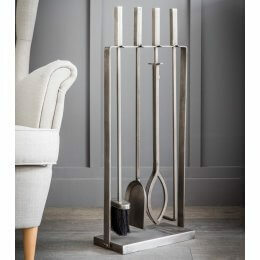 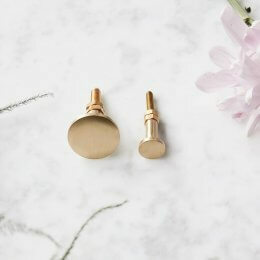 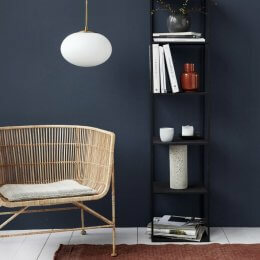 The overall look is minimalistic, functional and beautiful. The opal glass shade emits a soft glow and will create a calming ambience. 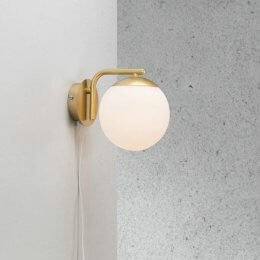 The brushed brass fittings are simple, yet stylish and the light comes with 3m of white cable that can be adjusted accordingly. 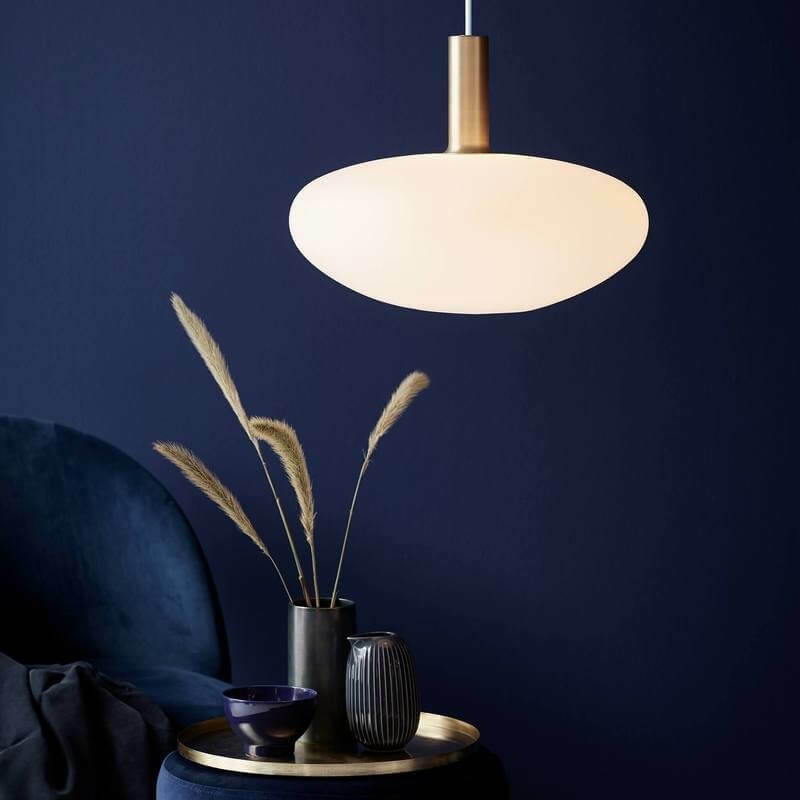 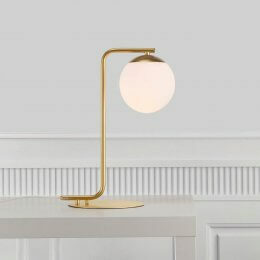 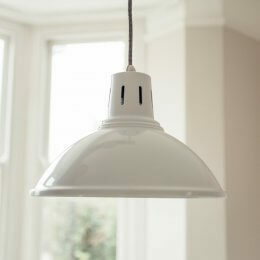 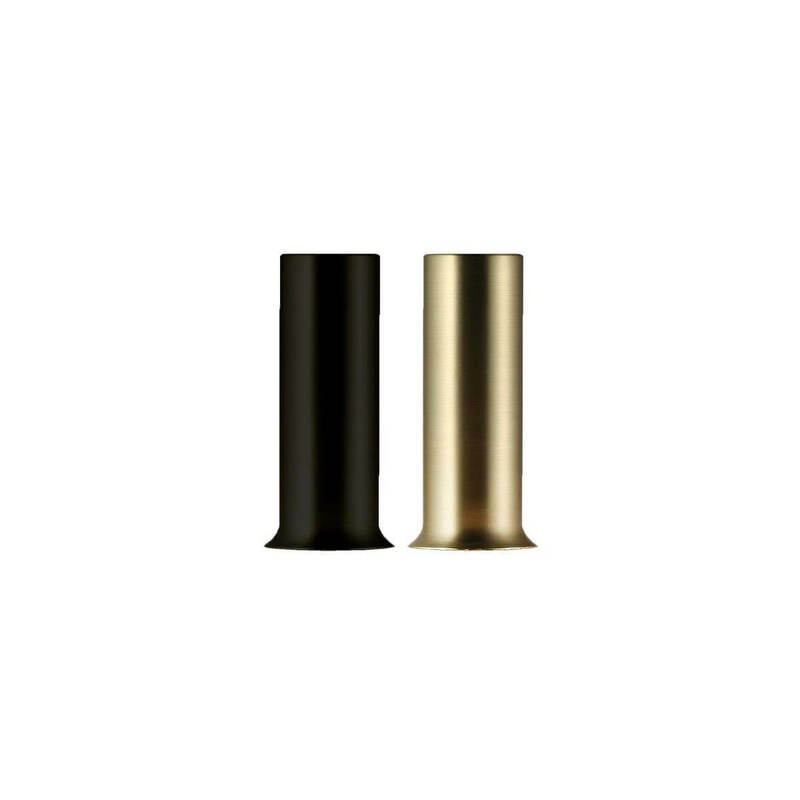 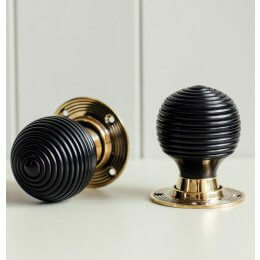 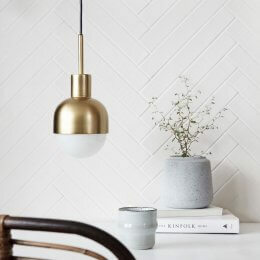 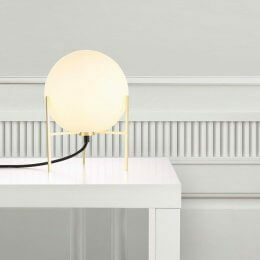 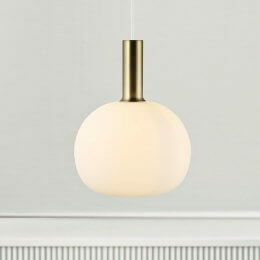 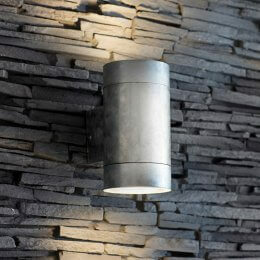 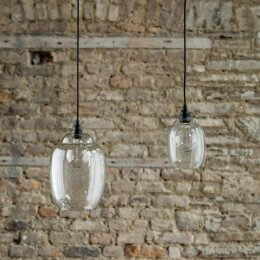 The Opal Glass Pendant Light comes with both a black fitting and a brass fitting, either can be used (see image).